In 2011, The Tinman Gallery in Spokane put on the Peter Pan Invitational. 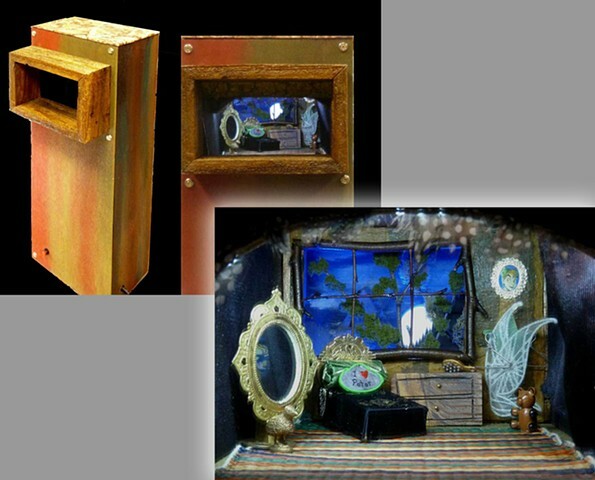 In response, I created this "periscope" art that depicted what I imagined as Tinkerbell's bedroom. The periscope gives you the feeling you're looking into the space behind the box when in fact you're looking down into the box by way of a mirror place at a 45 degree angle. It's fun watching people try to figure it out.